68 Landscape Architect and Specifier News Cape Christian Fellowship Church, a non- denominational Christian church in Cape Coral, Fla., had plans to construct a new worship center to accommodate their growing congregation. After taking a look at the community, however, they decided that the city would benefit more from a new community park. 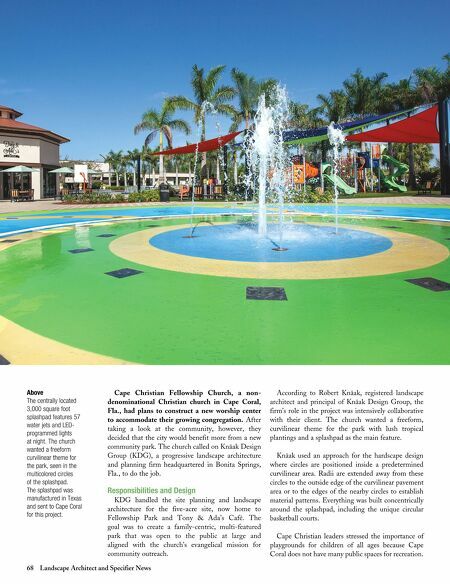 The church called on Knäak Design Group (KDG), a progressive landscape architecture and planning firm headquartered in Bonita Springs, Fla., to do the job. Responsibilities and Design KDG handled the site planning and landscape architecture for the five-acre site, now home to Fellowship Park and Tony & Ada's Café. The goal was to create a family-centric, multi-featured park that was open to the public at large and aligned with the church's evangelical mission for community outreach. 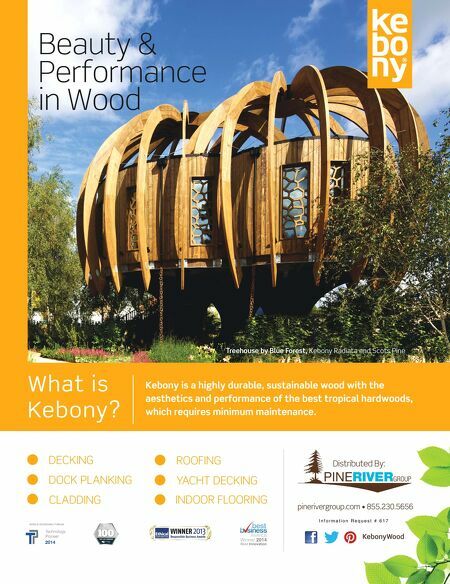 According to Robert Knäak, registered landscape architect and principal of Knäak Design Group, the firm's role in the project was intensively collaborative with their client. The church wanted a freeform, curvilinear theme for the park with lush tropical plantings and a splashpad as the main feature. Knäak used an approach for the hardscape design where circles are positioned inside a predetermined curvilinear area. Radii are extended away from these circles to the outside edge of the curvilinear pavement area or to the edges of the nearby circles to establish material patterns. Everything was built concentrically around the splashpad, including the unique circular basketball courts. Cape Christian leaders stressed the importance of playgrounds for children of all ages because Cape Coral does not have many public spaces for recreation. Above The centrally located 3,000 square foot splashpad features 57 water jets and LED- programmed lights at night. The church wanted a freeform curvilinear theme for the park, seen in the multicolored circles of the splashpad. The splashpad was manufactured in Texas and sent to Cape Coral for this project.